This is what has been causing my pain most recently. 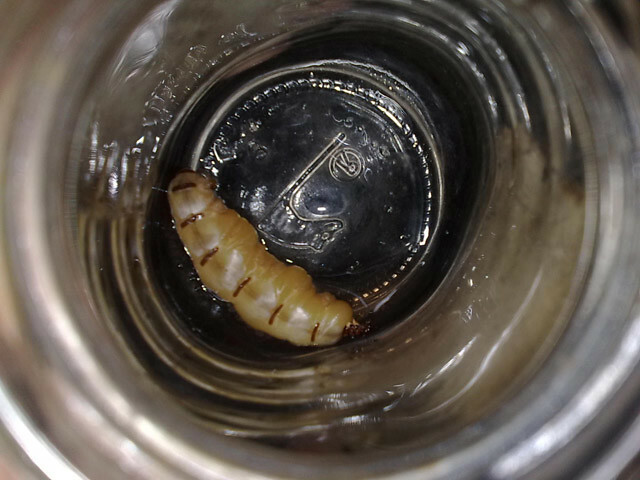 Its the queen from a colony of Subterranean Termites that had been infesting our home. The pest control guy captured it when they were destroying the termite mound outside our house and handed it to me. Lesson learned for me in this experience. In my naivete I noticed that termites had been infesting parts of our garden and some edges of our doors a few years back but did nothing about it. I even saw the termite mound that resided about 15 feet away from our house. Late last year they went up through the edges of our doors and attacked a stack of books and papers we had. Then we noticed that they had also started attacking some of our wooden ceilings. Damage was extensive that we had to pull our ceiling down to check for further damage. Then and there we decided to look for a reliable pest control service and they started work last week and finished only yesterday. It was really difficult because aside from the cost of the service, they had to drill holes around our house where they could inject some termaticide to create a chemical barrier to prevent the termites from coming in. The chemicals were very strong and toxic that my family had to move out for a while and sleep with some relatives. I was left to guard our home at night and it was no fun experience because of the smell of the chemicals. Aside from the chemical treatment I'm still trying to save up for the termite bait system so that my house will have dual protection from these pests. Bait system uses a wood bait placed in a plastic station that attracts termites and once you have them in there you replace the bait with a slow action chemical that will prevent them from shedding their skin that will eventually kill them. The good thing about this is that because termites are social feeders, meaning that they share the food they acquire, they will pass on this chemical all the way to the queen. Well, thats what the literature says. And just because the pest control guys captured the queen it doesn't mean that our ordeal is over. Termites are highly structured and organized that they can easily designate a new queen to take over. Another scenario is that they have other queens within the nest to keep up with the production of workers. If ever you are thinking of buying a house or putting up one, I'd recommend putting some termite deterrents in place already to save you the future trouble of having to repair a major chunk of your house. Which is what I'm going through right now. Despite the trials my family I went through however, I Thank God that the problems He sends my way are problems that I can easily overcome with His help.